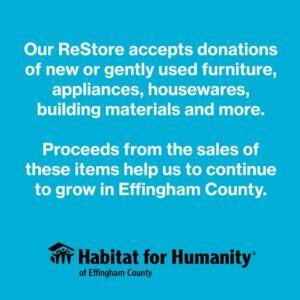 We need more volunteers interested in staffing the ReStore on a regular basis. Volunteers are needed for stocking, cleaning, organizing, office support and many more possibilities. To volunteer complete signup online and contact he ReStore call 912-826-6433.